The Slingerland Puntkom Small is a ceramic dish with a depth effect in color and shape. The exterior of the small dish is white. 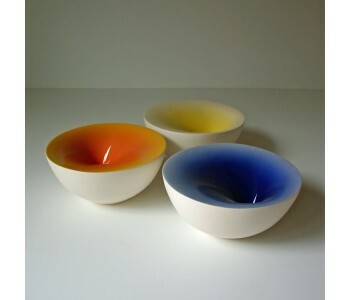 The dish is available in the orange/yellow, blue/light blue, and yellow/light yellow colors. The color effects make the dish look deeper. A large version of the Puntkom is also available. 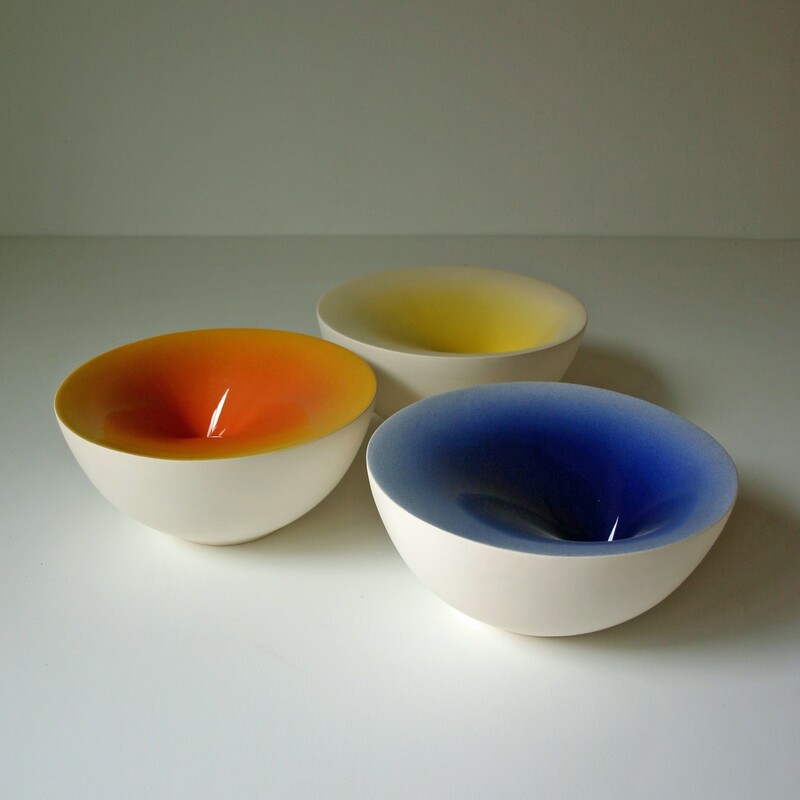 In combination with its big brother, this dish forms a wonderful addition to your interior.